Died: December 16, 2006 in Operation Iraqi Freedom. Unit: Army, 1st Squadron, 7th Cavalry Regiment, 1st Brigade, 1st Cavalry Division, Fort Hood, Tex. 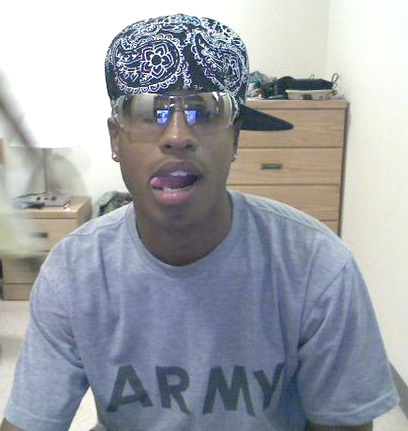 Army Pfc. 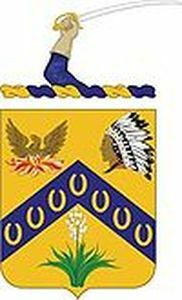 Baines was assigned to the 1st Squadron, 7th Cavalry Regiment, 1st Brigade, 1st Cavalry Division, Fort Hood, Texas. Baines died of wounds sustained when an improvised explosive device detonated near his Humvee at Taji. Joe grew up in a rough neighborhood in Newark and attended Summit Quest Academy in Ephrata, Pennsylvania, which is a high school for troubled youth. He graduated in 2005 and was accepted into Harvard University. But he decided he was going to get his family and himself out of their neighborhood, so in September 2005 he enlisted in the Army. He had been in Iraq since October. Joe was a remarkable person who spoke five different languages. He loved macaroni and cheese, water, fried chicken, poetry, basketball and singing but his greatest love was his family. On one of his last calls home, he told his mother he had recently carried a fallen soldier out of battle and knew he could be next. He told her, "I'm calling you now because we're about to raid the town the boy was killed in. I'm calling you just in case I don't call you back – you know what happened." Baines was awarded a Bronze Star and Purple Heart for his service. A Newark teenager who enlisted in the Army the year he finished high school was killed Saturday when an improvised explosive device detonated near his Humvee in Taji, Iraq. Joe Luis Baines, 19, is the 65th member of the armed services from New Jersey or with ties to the state to be killed in Iraq. The Defense Department announced his death yesterday. Baines grew up on Milford Avenue in the city's South Ward and attended the Louise A. Spencer School through eighth grade. He finished his high school education at Summit Quest Academy, a program for troubled youth in Ephrata, Pa., near Lancaster. His family did not want to speak to the media, but released a statement through the Army. "Our entire family is proud of him and his service to our nation. We will always remember Joe as a loving son and a hero; and he will forever be missed by his family and by his many friends." Baines, who enjoyed basketball and music, completed the 15-month program at Summit Quest in 2005 and enlisted in the Army that September. He completed basic and advanced training at Fort Benning, Ga., and was assigned as an infantryman to the 2nd Squadron, 5th Cavalry Regiment at Fort Hood, Texas. Baines had been in Iraq with the 1st Squadron, 7th Cavalry Regiment since the end of October. The military did not release any details of the attack in which he was killed. Taji is in the Sunni Triangle, about 25 miles northwest of downtown Baghdad. Baines had been awarded the Army Services Ribbon, the Global War on Terrorism Service Medal, the Iraq Campaign Medal, the National Defense Service Medal and the Overseas Service Ribbon. Surviving, in addition to his mother, are a sister, Carol Baines; two brothers, Adam and James Baines; a stepbrother, Stephone Durant; and two stepsisters, Stephanie and Lisa Durant.